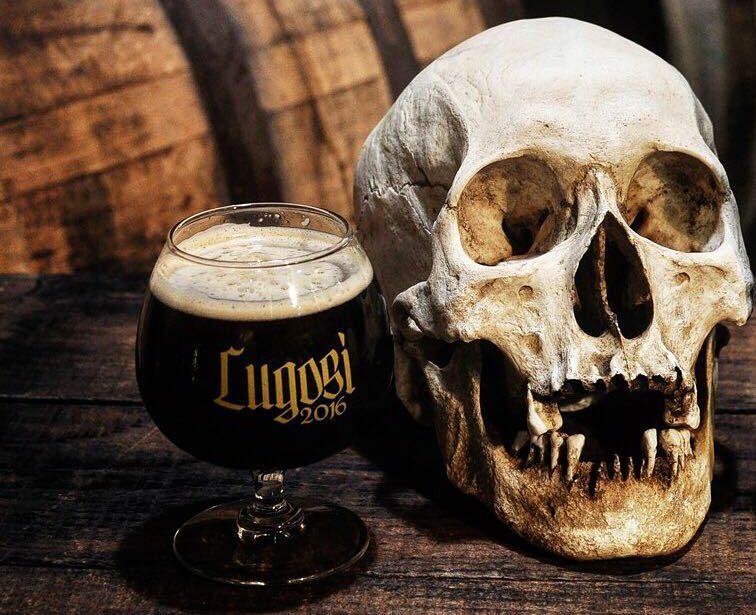 Phantom Carriage is a horror-themed brewery and blendery emphasizing "unusual fermentations" with names familiar to fans of old scary movies: Rathbone, Lugosi, Cushing, Crawling Eye, and Night Creatures - not to mention menu items such as Creature Dip and Phantom Phritos). The ambiance suggests a haunted house, and there are themed events throughout the year, including a free series of Wednesday Night Thrillers screened in ultra-high-def on a 130-inch screen. Hours: 3-10pm Monday; 11:30a–10p Tuesday-through-Thursday; 11:30am-midnight Friday; noon-midnight Saturday; 11am-6pm Sunday. Read more in our Phantom Carriage Brewery Archive. Phantom Carriage Brewery and Blendery offers a weekly series of horror films, projected in UHD from Blu-ray source on their 130-inch screen in 7.1 digital surround sound. 1980s titles appear frequently but also older classics. Check their calendar to see what's playing each week. Reservations and tickets are not required. Seating is first come, first served. Popcorn is free as well. Phantom Carriage warns that "excessive screaming will result in a ghostly removal from our brewery."